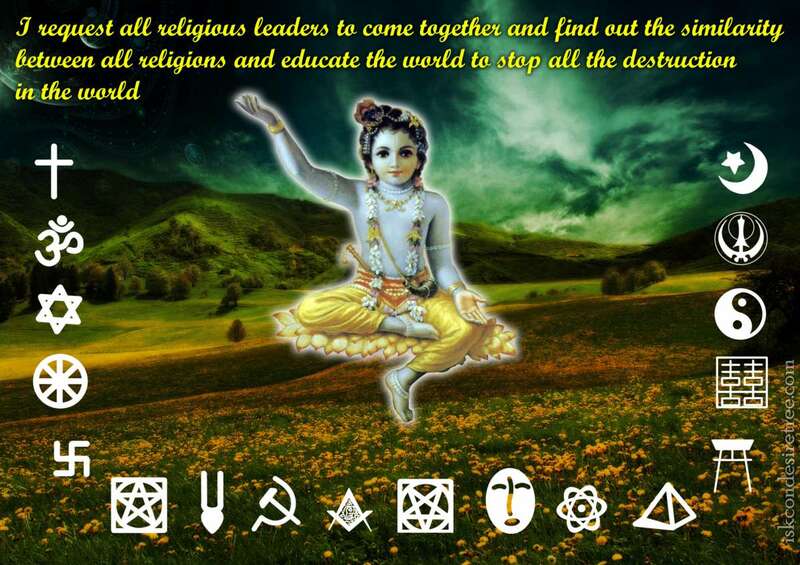 I request all religious leaders to come together and find out the similarity between all religions and educate the world to stop all the destruction in the world. 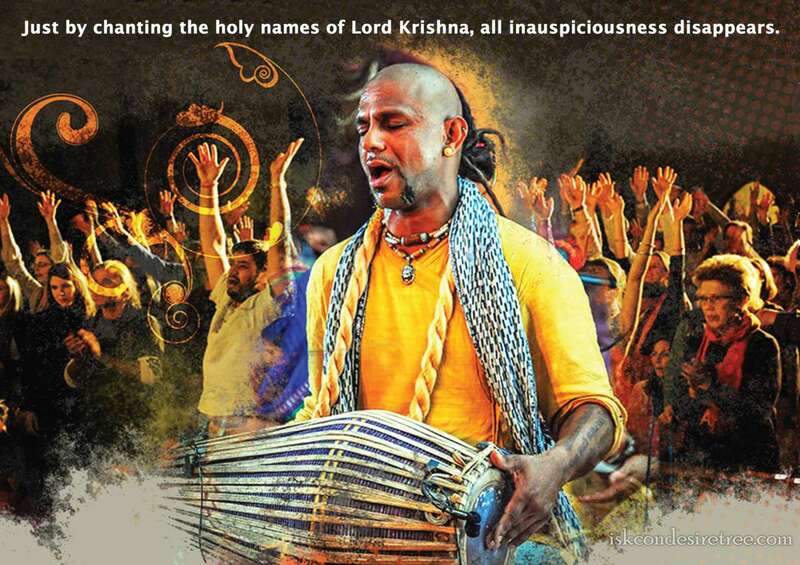 Just by chanting the holy names of Lord Krishna, all inauspiciousness disappears. 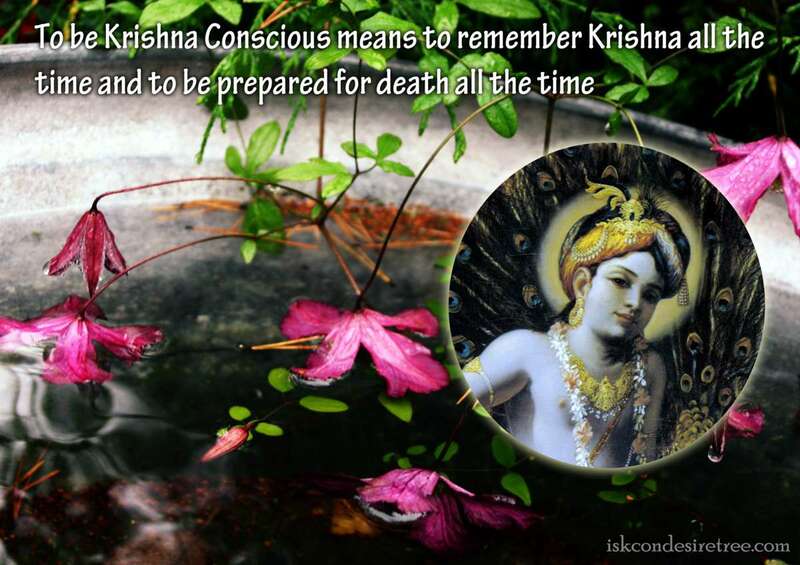 To be Krishna Conscious means to remember Krishna all the time and to be prepared for death all the time. 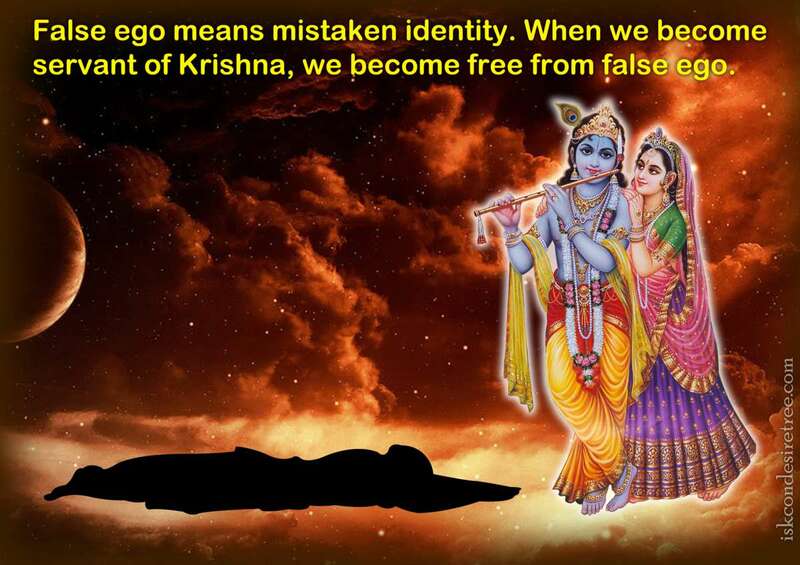 False ego means mistaken identity.When we become servant of Krishna, we become free from false ego.